What Can Brown Do for New (Hampshire)? Today’s local dailies have his ‘n’ his takes on the peripatetic Scott Brown (R-Elsewhere). Start with the Boston Globe’s twofer: a news report about Brown’s impending move to the Granite State, and this editorial dopeslap. In most states, such an obviously opportunistic move would present an obstacle to any kind of political future. But Massachusetts and New Hampshire are paired in an interesting way. A rejection of Massachusetts-style taxation and intrusive government is an important part of the New Hampshire narrative. Alas, so too is a deep suspicion of artifice or pretense. The qualities that made Brown appealing to Massachusetts voters — affability and a middle-of-the-road approach to governing — will play as well, or perhaps even better, in New Hampshire. But the quality that ultimately led to his defeat in 2012 — the lack of a substantial agenda, leading to concerns about the seriousness with which he engages national problems — may be even more brutally exposed in New Hampshire. Not to mention he’s a carpetbagging moderate who’s soft on guns rights. There are certain things you have to do in the Granite State, like being subjected to direct and sometimes uncomfortable questions from voters. No dodging the media glare, either. Giving a speech, shaking some hands and fleeing to the safety of the pickup truck won’t cut it. • Don’t pronounce Berlin like the city in Germany. The locals won’t like that very much. • Don’t say that you’re looking forward to seeing the Old Man of the Mountain. It’s not there anymore . . .
National Republicans are encouraging Brown to run, and see him as the party’s only chance to make that race competitive. Now, as James Hohmann reports, the GOP group Ending Spending is dropping $100,000 on a new ad hitting [Democratic Sen. Jeanne] Shaheen and running online ads to draft Brown (http://politi.co/199Cl8r). 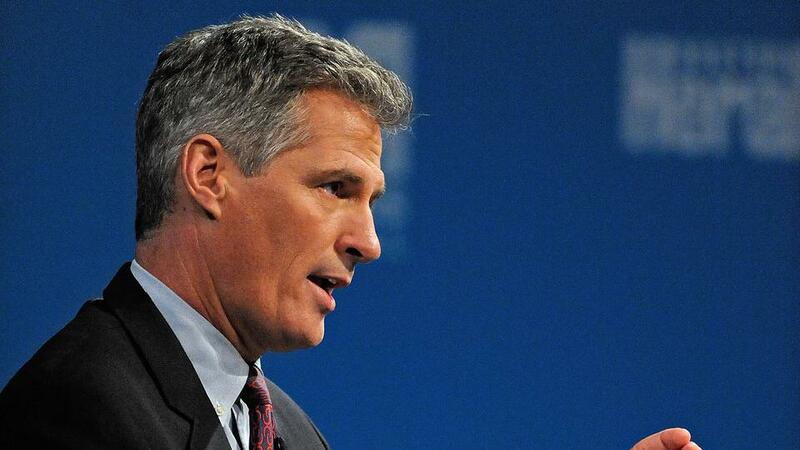 Of course, first Scott Brown needs to decide what to do. This entry was posted on Wednesday, December 18th, 2013 at 2:31 pm and is filed under Uncategorized. You can follow any responses to this entry through the RSS 2.0 feed. You can leave a response, or trackback from your own site.